i think i'm with the majority here when i say that my involvement with the magic of the oscars typically does not extend beyond my couch and home-printed voting ballot, but i was delighted to go on behalf of kai to get a preview of the famous post-oscars fete (anything for the kai angels!). with my mom as my date, we dressed to the nines and headed to the dolby theater ballroom in hollywood for a sneak peek. the above right photo is the engraving booth, where winners get their statuettes personalized after the show! the theme for the governor's ball this year was "speakeasy," a place where everyone could come after the show and truly unwind and feel comfortable. 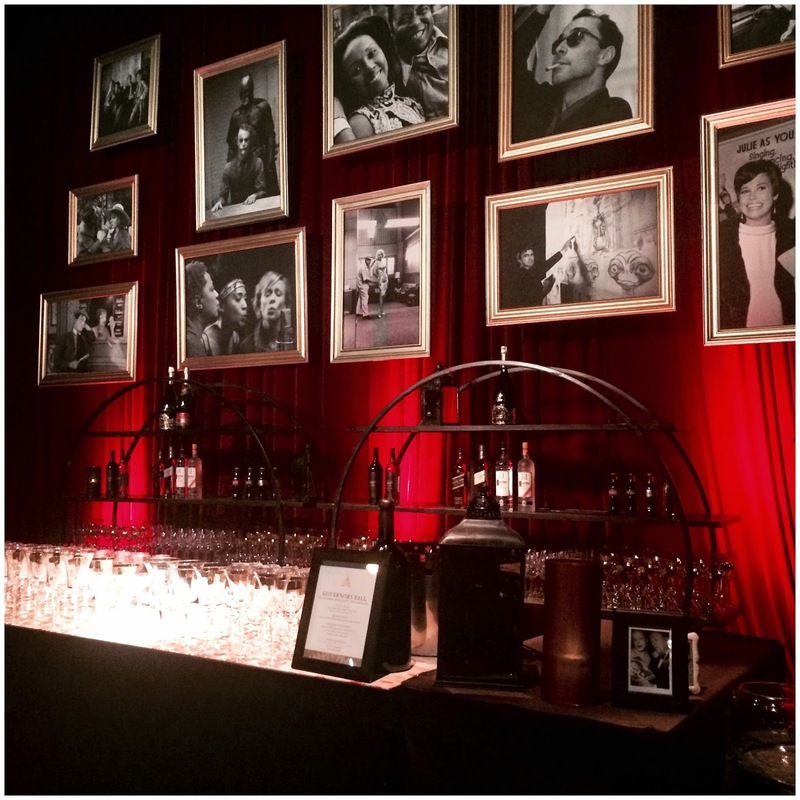 the talented team behind sequoia productions set the scene with plush leather seats, industrial looking cocktail bars, and thousands of photographs of hollywood's latest and greatest film stars. 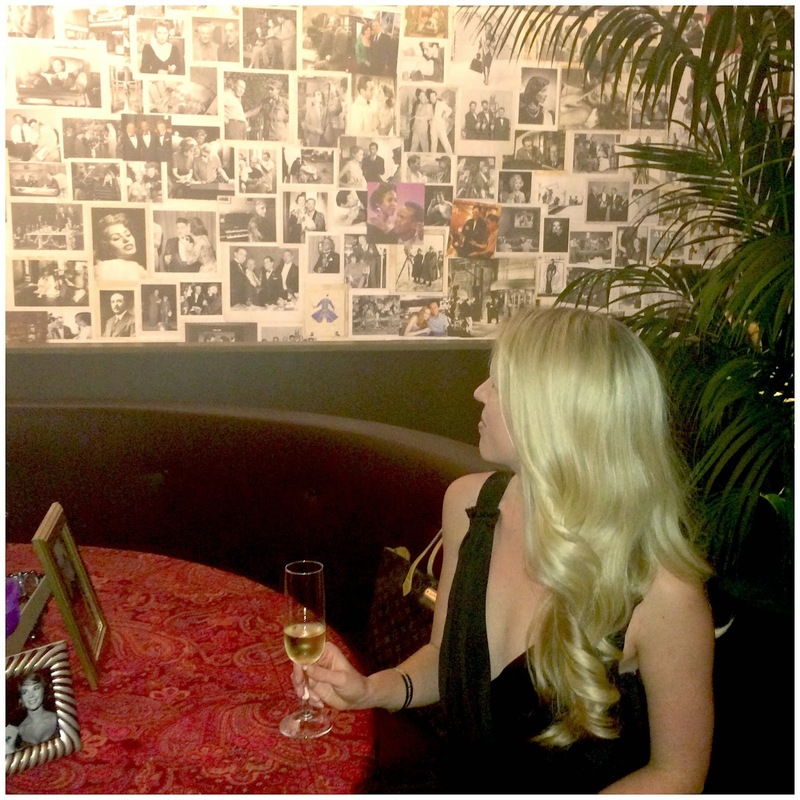 one of my favorite touches was the bars covered with lipstick imprints from famous actresses like lucille ball. but what really makes headlines each year is wolfgang puck's impressive and extensive menu of passed appetizers, hot plates, and desserts. each hors d'oeuvre had the familiarity of comfort food but with a high-end twist (think black truffle macaroni and cheese, caviar-topped baked potato bites, and brown butter apple tarts). we were in heaven! i imagine these bites tasting even more delicious after an hours-long awards show. of course the evening would not be complete without the signature cocktail: champagne topped with a rose petal!